What Happens if a Tree Falls on Your Car? A tree falling on a car can happen to everyone, even Jim Gregg, a guy who’s incredibly smart about where he parks his vehicle to avoid door dings. According to Allstate, a tree fell on his truck close to his home in Lorton, Virginia. 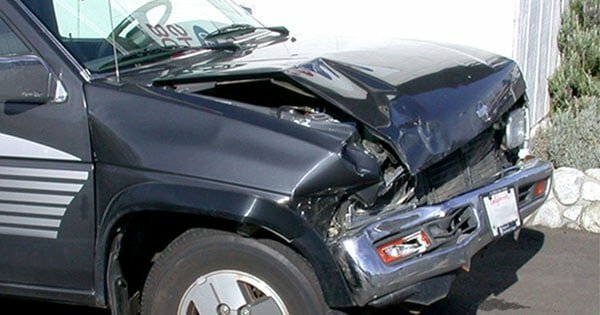 Unfortunately, the source confirmed that the damage to Gregg’s truck was worse than he imagined. 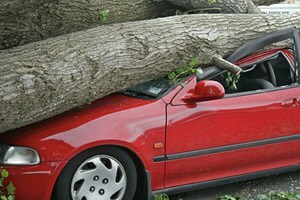 However, there are ways to mitigate the damage of a tree falling on a car. One of the worst case scenarios would be if a tree from your own yard fell onto your car and you didn’t have comprehensive auto insurance. Not only would you be responsible for damages to your car, but you’d carry the burden of getting rid of the tree and patching up any holes left from the once-standing tree. You can easily navigate this risk by investing in comprehensive auto insurance. Check out the wide range of options on compare.com to find one that’s right for you. Comprehensive coverage protects your vehicle from damages that aren’t related to a collision. It also covers you in the case of a theft. The damages aren’t limited to falling trees, but expand to a wide range of odd and unfortunate events, including fires, natural disasters, vandalism, glass damage and damage from running over an animal. Although comprehensive coverage sounds like it takes care of pretty much any incident under the sun, this is just a common myth. The best way to ensure you won’t pay a bunch of money to repair your car is to bundle comprehensive with collision and a myriad of other add-ons. To eliminate the majority of risks, consider other services like towing and labor, lockout services, battery services, gas, oil and water delivery and rental reimbursement, a type of insurance that foots the bill for a rental car if yours is in the shop. Although this may sound like a lot of services to pay for on top of your usual premium, dishing out a little extra money here and there can save you big bucks in the event of an actual emergency. Plus, many insurance companies let you choose your deductible, according to a separate Allstate article. That way, you can make an insurance commitment that feels right for your budget without sacrificing important coverage features.